When it comes to surviving, fire is one of the most important elements. It helps you to cook your food, stay dry, and maintain a positive attitude when things are looking down. You could start a fire the old fashioned way by rubbing two sticks together, but that could use up a lot of energy and be difficult to do. That’s why it’s important to know what a fire stick is. Having some of these along with you on your next camping or hiking trip can make all the difference in the world, or if you’re suddenly without power in your home and you need a light source. 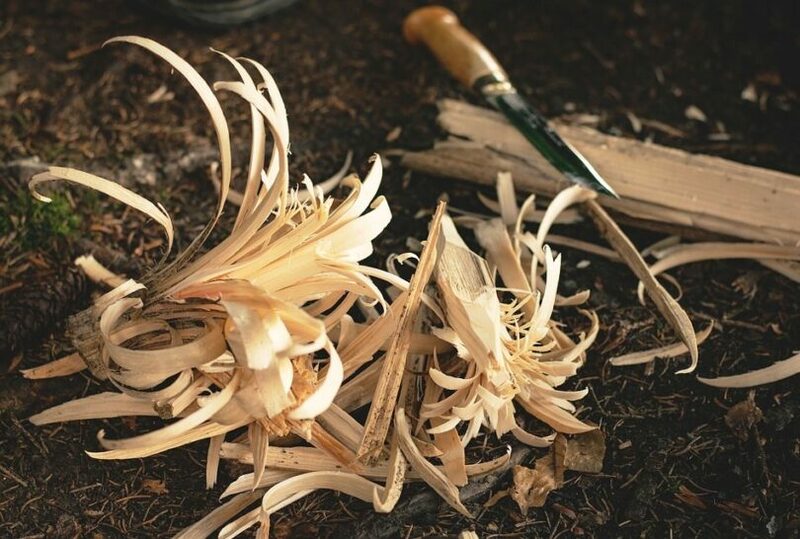 You can purchase fire starter sticks from the store, or you can learn to make your own. One has no real benefit over the other outside of costing money, as they’re both designed to last a long time. It’s all a matter of preference which one you choose. See our article on how to choose the best fire starter sticks to quickly start a fire. What’s great about making your own fire sticks is that they’re incredibly waterproof and lightweight, so that they won’t add much to the weight you’re already carrying with you on your hiking trip. They can help to start a fire in even the worst conditions and when you need them the most, such as when you’re drenched during a sudden rainfall. 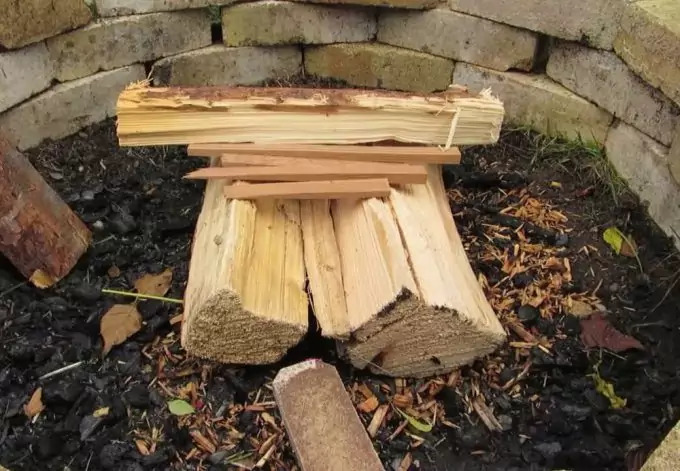 These fire sticks, if made properly, should still burn even if they’re wet, and can help damp wood to start burning too. If you’re heavily involved with woodworking, you can easily make your own starter sticks from the materials you’ve already removed while splitting wood or shaving off excess. The saw dust and scrap wood can be given a new purpose in creating these helpful tools that can be carried with you. The first thing you should do is to collect all the saw dust, wood shavings and small scrap pieces that are lying around after your last project. If you don’t have any, then you can easily whittle a piece of scrap wood to create one to two-inch shavings. Next, you’ll want to get wax or a candle and melt it down by placing the jar in a pot of boiling water. This ensures that it melts and doesn’t burn. Use an empty paper towel roll or create a small tray out of aluminum foil and fill it with the wood shavings. It should be packed as tightly as possible over a paper plate to catch whatever leaks out. Pour the melted wax over the wood shavings. The more wood the better, as it will burn well and for a lot longer. The best ratio for this is 2:1 of wood to wax. Then allow it to cool for at least an hour, or until the wax has completely hardened. Once hard, peel it off the tray or paper roll, and you have your starter log. It works well for when your kindling is too wet, too big, or you just can’t find any at all. If you’re taking them hiking, it’s important to transport them in plastic zip lock bags so that they don’t melt in your backpack. 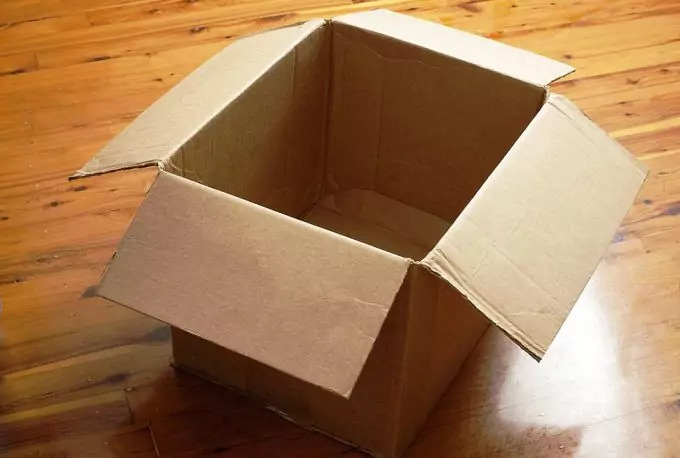 Another method that you can use for building your own fire sticks is to use corrugated cardboard. This can be easier to obtain if you don’t work with wood on a regular basis, but the concept is still the same. The most time-consuming part of this is to melt the wax. You do this by placing a candle or some wax in a small pot, and then placing that pot in a bigger pot full of water. Then place it all on the stove to heat up. This way, the wax or candle can get heated up without burning, and will melt into your container. While it’s melting, you can prepare the fire sticks in the meantime. Take your pieces of corrugated cardboard and remove one of the paper sides using needle-nosed pliers. You want the ridged texture underneath to be exposed. Then, cut your cardboard into six- to seven-inch long strips that are about two inches wide. Roll the strips up and then tie it all together with string or natural cord. Then dip each fire stick into the hot wax once it is melted. Allow to soak for a few minutes. Be sure to use something to hold onto and remove the fire stick from the wax, as it will burn your skin if you stick your hand in. Remove from the heat and allow it to cool. If you’d like, once the wax is hard, you can re-dip the fire stick into the wax again to add a second coating. It will help your fire stick to burn for much longer, but be aware that this adds some weight to them. If you want to test your fire stick, light one while it placed within a container if you’re using it in your home. It should burn for a really long time, as long as at least nine minutes if your fire stick as been penetrated with the wax. If you’re out traveling, it’s best to carry at least three to four of these with you so that you’re adequately prepared. Fire stick reviews: which product to buy? If you’re not keen on making your own, there are plenty of products on the market that will make it easier for you. Even more, many come with reviews from users who already tested them. These review offer amazing insight and you shouldn’t ignore them. 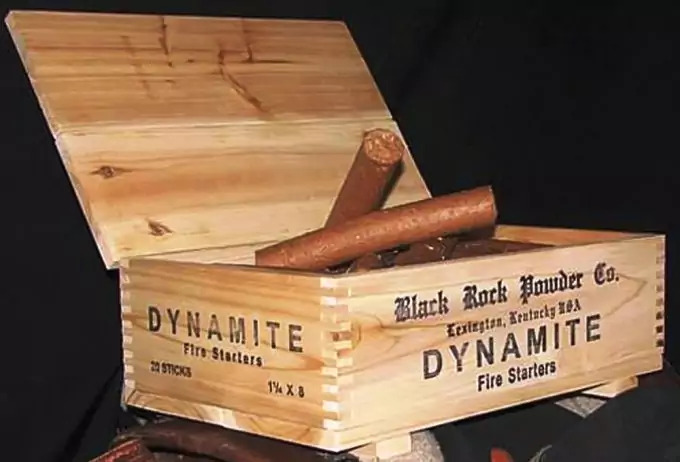 The fire sticks that are present in this ten-pound box have been made through splitting the stumps of pine trees that contain a high concentration of natural resin. It’s this resin that makes fires easier to light, and will provide you with a roaring fire in no time. There aren’t any additional chemicals or preservatives that have been used in the treatment process, so you don’t have to worry about inhaling dangerous fumes. These sticks are guaranteed to light even when they’re wet, so they’ll still burn if you’re out camping on a rainy day. The process is also quite green, as they only use non-endangered, non-rainforest, non-living trees. There’s no shelf-life on these fire sticks either, so they’ll last you for the rest of your life. Fatwood fire sticks are considered the easiest to use and will have a fire roaring in your fire place within minutes. No more waiting for wood to try and trying to find the best kindling. Per pound, it’s the best deal that you can find on the market, since they last such a long time and will have your home heated sooner than you think. These fire sticks are capable of being lit with just one match, and each one will burn to about thirty minutes. For only six ounces on each stick, that’s quite a long time. They’re very useful in starting even the most stubborn of fires. They also burn cleanly, as they’re made with a blend of waxes of renewable, recycled biomass fiber. This minimizes the emission of carbon monoxide and other toxic vapors that can make you sick. They will also help provide a complete ignition of the fire, guaranteeing that all of your fuel will be used up so you won’t have to worry about rotting wood and having to throw most of it away. Each fire stick comes individually wrapped so that you won’t get any of the resin on your hands. These sticks can even be trimmed down so you’re not using a whole one if you only plan on having a very small fire. 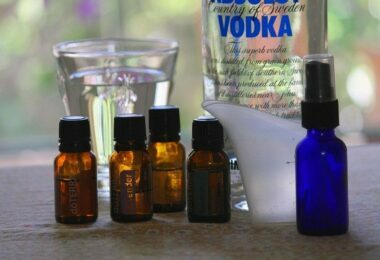 This can also make it easier for them to carry with you on your hiking trips. Duraflame has been a trusted name in starting fire quickly in chimneys all over America. These fire sticks are easy to carry and store, and the pack of twelve will be more than enough if you’re out camping, even for a week. They’re non-toxic and waterproof, so that they can be lit even when there’s a downpour. 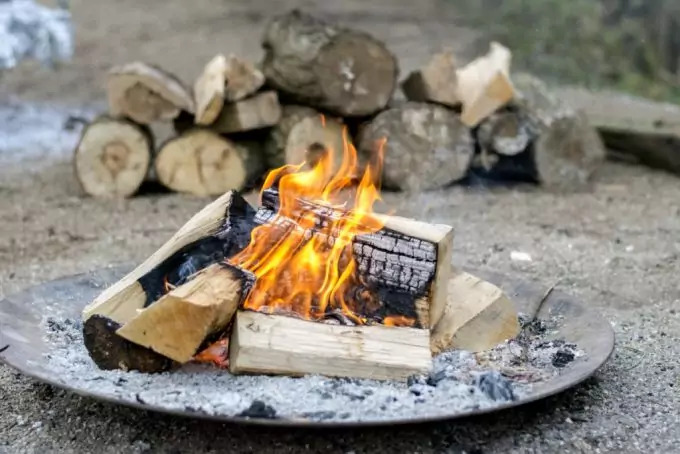 Their long burn also makes it easy for you to dry any firewood or kindling that you may have so that you can have your fire lasting even longer. They’re quite affordable if you’re looking for a cheap and effective way to start a fire on your first camping trip. However, they are pretty hard to break apart if you only want to use a small amount to start a fire. This means that you may have to waste an entire stick, even if you only plan on using a fire for a short amount of time. If you want affordable fire sticks that will burn completely, then these are definitely for you. 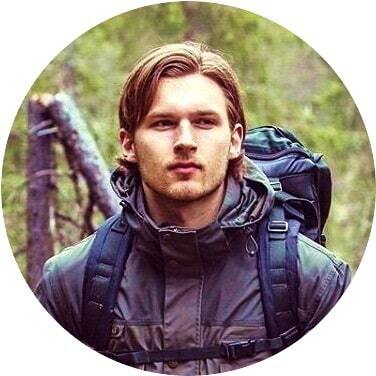 They’re great to use on camping trips, and could make your stay in the woods much more comfortable than you could ever imagine. They’re easy to light, waterproof, and don’t release any chemicals that would harm your health. They’ll still light even when your firewood is damp, and burns very hot so that your wood can dry in the process. All they need is one match to get going, and everything is set. If you’re looking for an easy fix to your fire starting problems, then these fire sticks are for you. If you’re looking for a way that doesn’t use wood, then these fire sticks are for you. They’re compact and much easier to store and take along with you if you’re heading out into the wilderness. These fire starters are made out of paper and wax, making them safe to use even indoors, as there are no harsh chemicals to add to the air, and the spare wax burns completely away within the fire place. That means no residue in your chimney either, so you won’t have to have it cleaned as often. 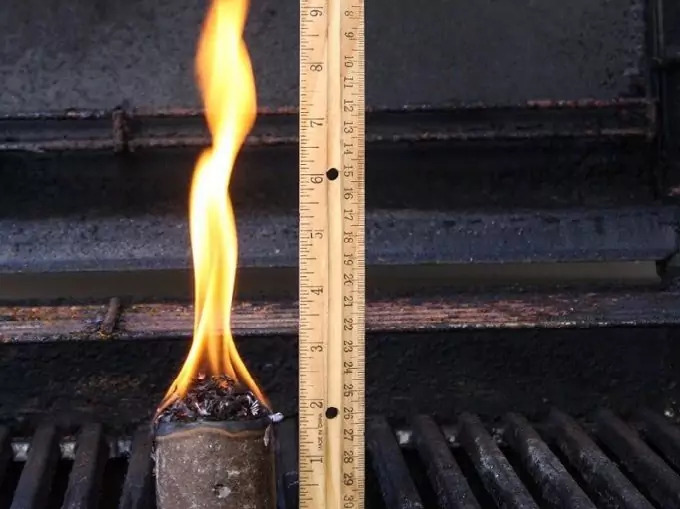 These fire sticks give off a five-inch flame that burns hot for about ten minutes, giving you plenty of time to get your fire started and dry off any wood that may have gotten wet in transport. What’s best about these is that they also come in a re-sealable bag, allowing them to stay dry for an extremely long time, even though they’re waterproof. They light instantly with just one match, and will help you to get your fire going in no time. 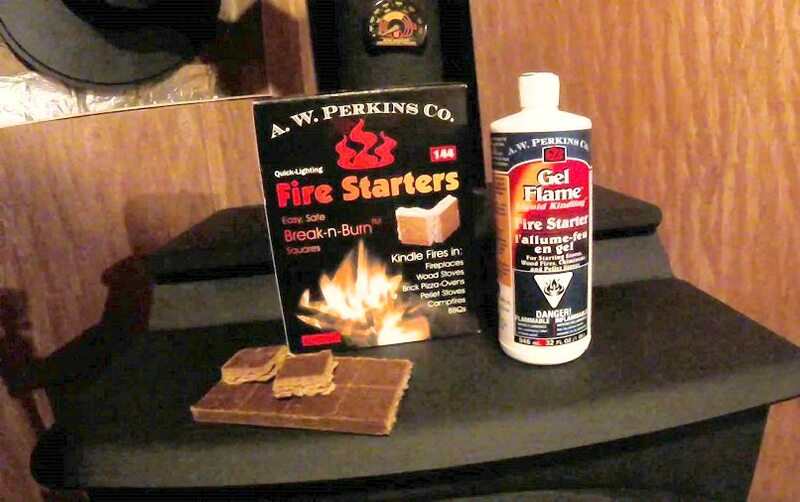 These fire starter sticks provide an easy way to turn up the heat for campfires, your fireplace, or wood stoves. There’s no need for fluids, lighters, kindling, or newspapers. It burns clean and odorless for about twelve minutes, providing you with ample time to set your fire wood and get it dry. You don’t even need matches, as it can be started on its own. There’s a lighting surface on the bottom, so you can strike it anywhere to get your fire started. The product is made of non-toxic sawdust and wax so it will burn cleanly and for a very long time. They’re so safe that they can even be used on your grill for a barbecue. It comes in a re-sealable bag to preserve their starting power and ensures that you can use them for a long time after purchase. 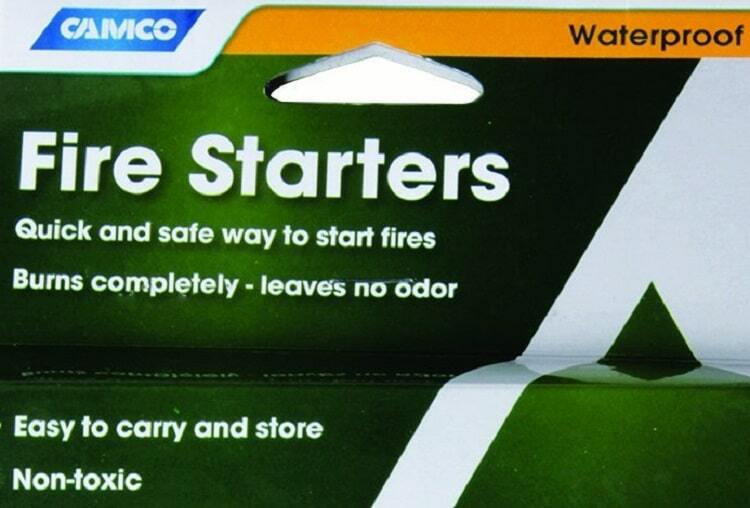 These fire starters are small, making them perfect for storage and carrying with you when you’re out and about. 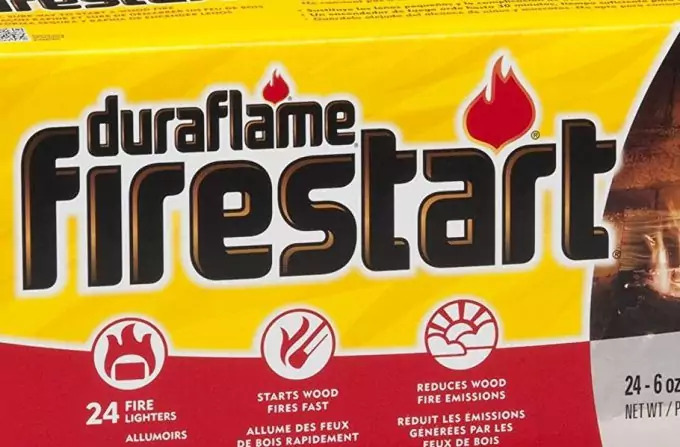 They’ve been quality tested to ensure that you get the most out of every fire, and you won’t have any trouble getting one started when you have these with you. They come in their own re-sealable bag for easy storage, and you’ll need to. They can be greasy/a little oily to handle, so it’s best that you use something to pick them up with. Leaving these fire starters exposed for too long can cause them to dry out and they’ll no longer be effective. Be sure to use them soon, as they do degrade over time, so this may not be the best option if you’re planning for the future. However, they are great in cases of emergency. If you’re interested in playing a prank on your friends, then this may be just the gift for you. These fire sticks have been carefully designed to look just like a stick of dynamite, so when you chuck them into your fireplace, be prepared for your friends to run away. However, they’re completely harmless and won’t blow up in your face. Instead, they’ll provide lasting warmth and will have your fire started in no time. The sticks are also easy to break up, so that you can use a little at a time if you don’t need an whole one. That makes it easier for you to plan ahead and make your sticks last a lot longer than you expect. Looking for better means of starting your fire starter sticks? Then look to squares! These easy to use wooden squares will make it easier for you to start your fire without any hassle. They light very quickly with only one match, and will burn for a long time, enough to get your firewood going. 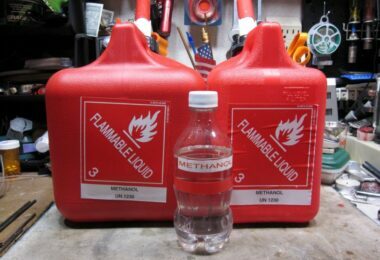 You won’t have any problem adding some heat to your campfire, wood stove, or fireplace, and they burn quite cleanly. One or two are usually enough to get a regular fire going and they are extremely easy to store. When it comes to finding the best way to start a fire, there are plenty of survival rules you have to take into account when doing so. Everyone expects you to be an expert if you want to start your own campfire, but sometimes, you just need a little help to get things going. 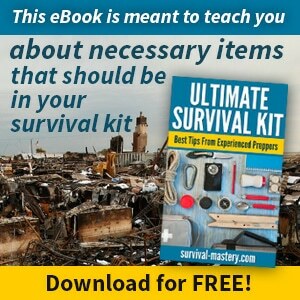 Here’s our list of the top survival essentials for you to consider, as well – check it out! There’s no shame in seeking a little assistance with tools that can make your experience easier, and in an emergency situation, you don’t want to have to waste those precious minutes that you could be using to fortify your shelter. 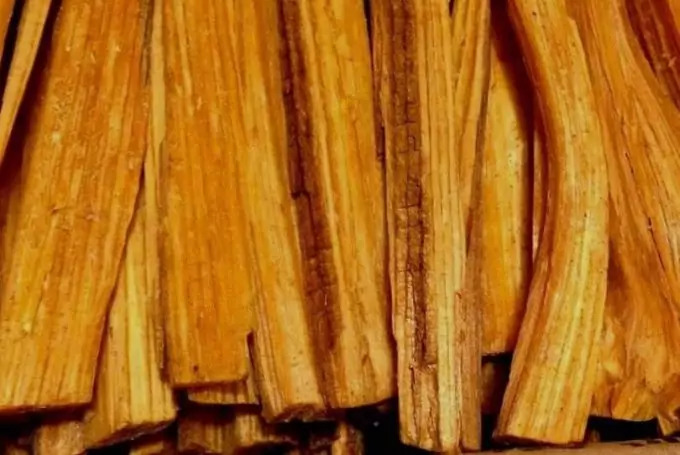 These fire sticks, whether you’ve made them yourself or they’ve been purchased from a store, are easy to store, will get a fire going quickly, and best of all, they’re waterproof. Preparing ahead by having some of these in your home will definitely increase your chances of having a warm fire wherever you go. 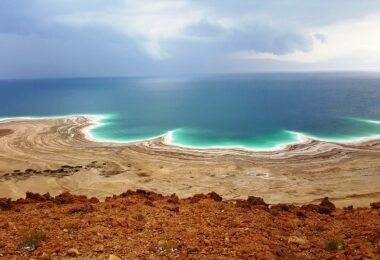 Before you leave for your backpacking trip, see our article on fire safety tips to keep you accident-free.